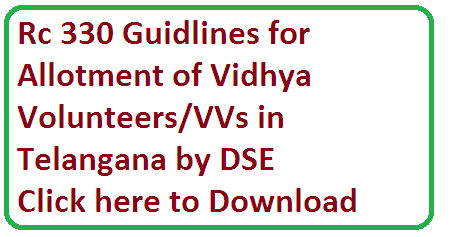 Guidlines for Engaging Vidhya Volunteers/Academic Instructors in state Observers appointment Vide Rc 330 by Director of School Education Telangana Hyderabad. Academic Instructors or Vidhya Volunteers are required in the schools. to appoint so called persons in the school certain Guidlines are issued.